Insurance group: 32 - 41 How much is it to insure? The Jeep Wrangler has been around, in one form or another, for over 70 years, with the Willys Jeep kicking things off back in the 1940s. Since then, it’s morphed (very gradually) into the Wrangler we know today – although the name Wrangler has only been used since 1987. It’s grown in popularity in recent years, too, with sales increasing from 25,000 units in 2010 to 131,000 in 2017. A total of five million have found homes across all generations. 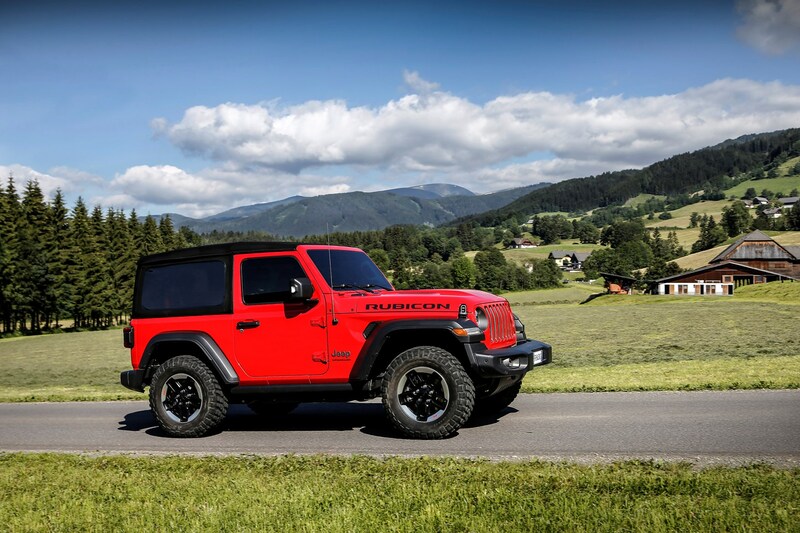 This latest model aims to be the most accomplished yet, borrowing from its legendary status as an automotive icon, but with a bit more all-round appeal for a new kind of buyer for Jeep – the ‘Urban Jeeper’. 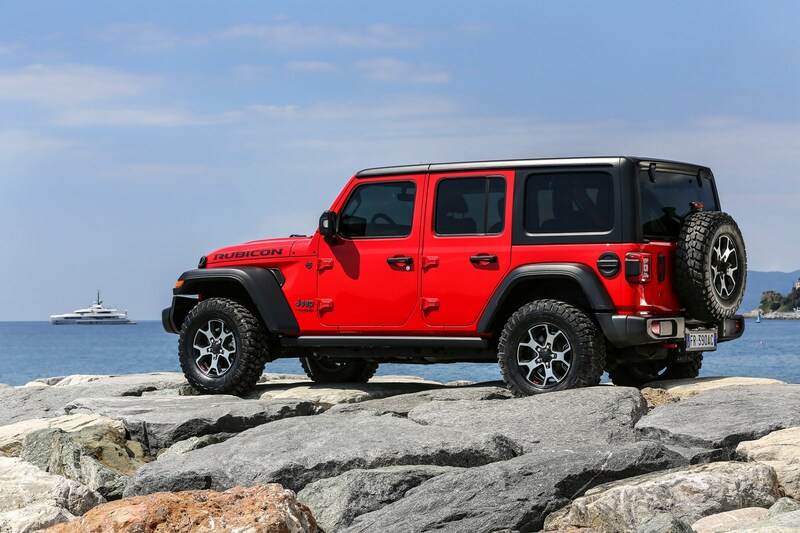 Jeep recognises people want the rugged look of the Wrangler but aren’t necessarily the kind of serious off-roaders as its more traditional buyers, so this latest generation aims to appeal to a wider spectrum of customers. Direct rivals are thin on the ground, though. The Suzuki Jimny is similar in concept but much, much cheaper, while the Mercedes-Benz G-Class is also similar, but much, much more expensive. 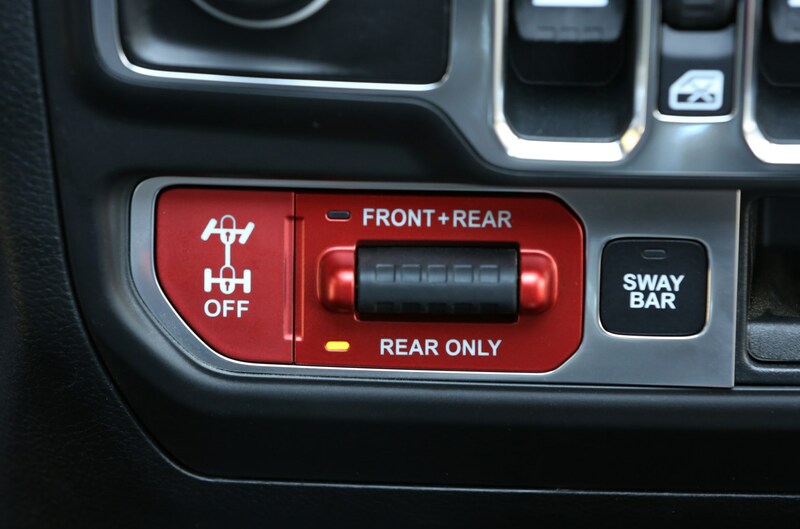 At the Wrangler's price point, focused off-roaders such as the Toyota Land Cruiser and Mitsubishi Shogun Sport spring to mind, but those who remain in urban areas most of the time may also consider something a bit more road-biased like a Range Rover Evoque, or even a sportier hatchback. 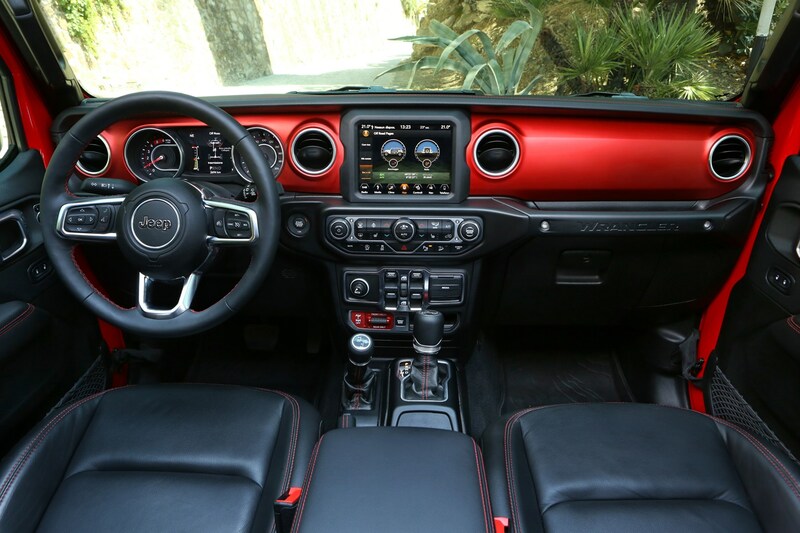 Not much has changed styling-wise over the years and Jeep has ensured there are plenty of design elements on this latest Wrangler that have been seen on several of its predecessors. A trapezoidal grille shape, round lights, those broad wheelarches, detachable doors, roof and windscreen, plus a dashboard with greater visible width (as opposed to looking too tall) are all cues borrowed from previous versions, but with plenty of modern touches such as full LED headlights and an all-new infotainment system to keep it contemporary. There are three roof options available – Sky One-Touch canvas roof that slides back the full length of the car, Zipperless Premium Sunrider soft top and Freedom Top which has three solid panels that you can remove. 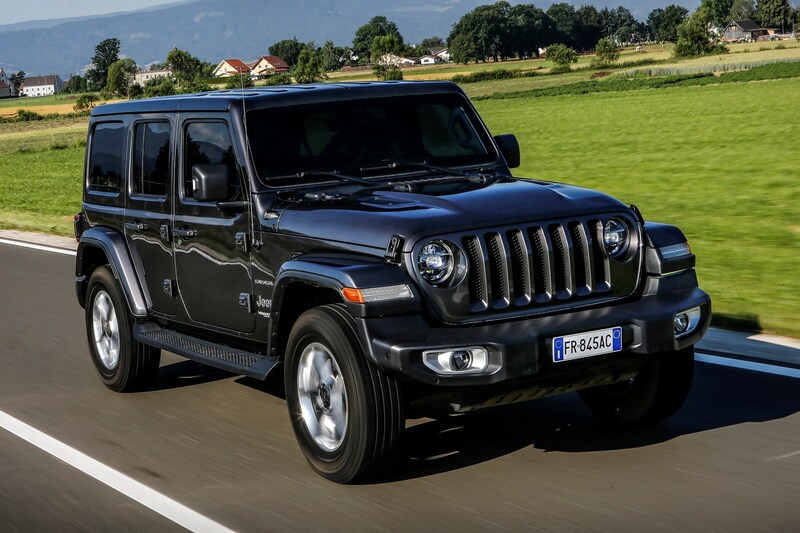 Gone is the old 3.6-litre V6 petrol found in the old Wrangler (it’s still available in markets outside Europe), and in come a pair of four-cylinder powertrains – one petrol and one diesel, found elsewhere in the FCA group. 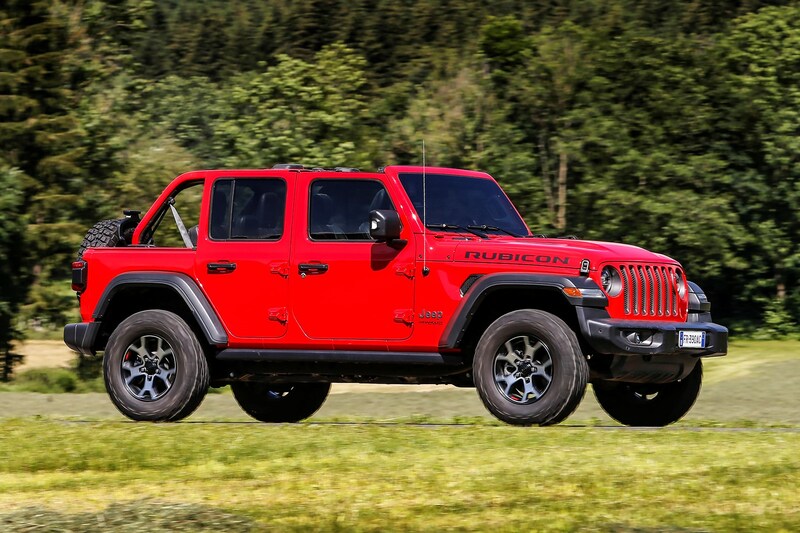 Expected to the most popular Wrangler (at least in the UK), is the 2.2-litre turbodiesel producing 200hp. There’s also a 2.0-litre petrol producing 272hp, but this is likely to be a bit more limited in its appeal in Britain. 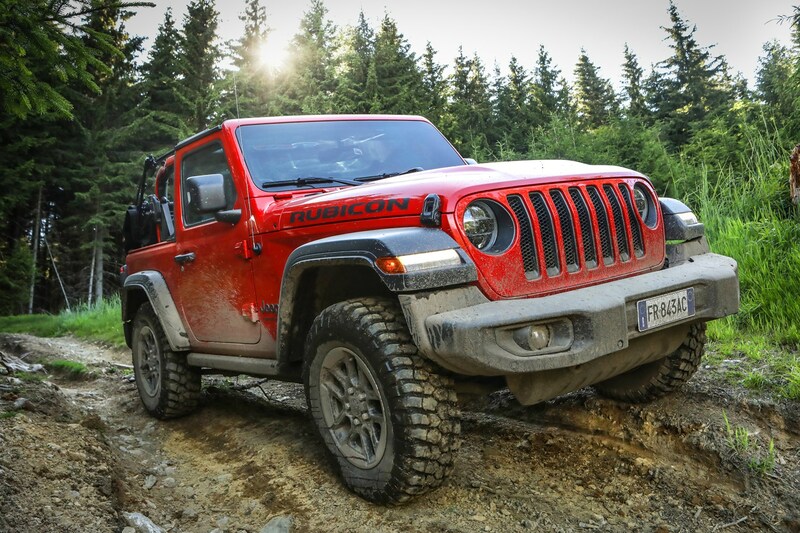 Naturally, it comes as no surprise that all Wranglers are fitted with four-wheel drive as standard, using Jeep’s Command-Trac full-time system, with a low-range ‘box for serious off-roading. 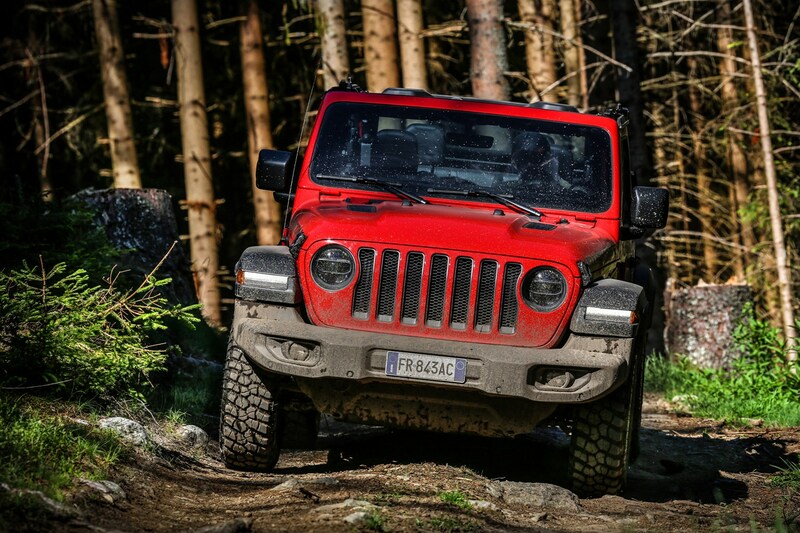 For those who regularly venture off the beaten track is the Wrangler Rubicon – the more focused version that makes use of a Rock-Trac four-wheel drive system that’s even more advanced and capable. 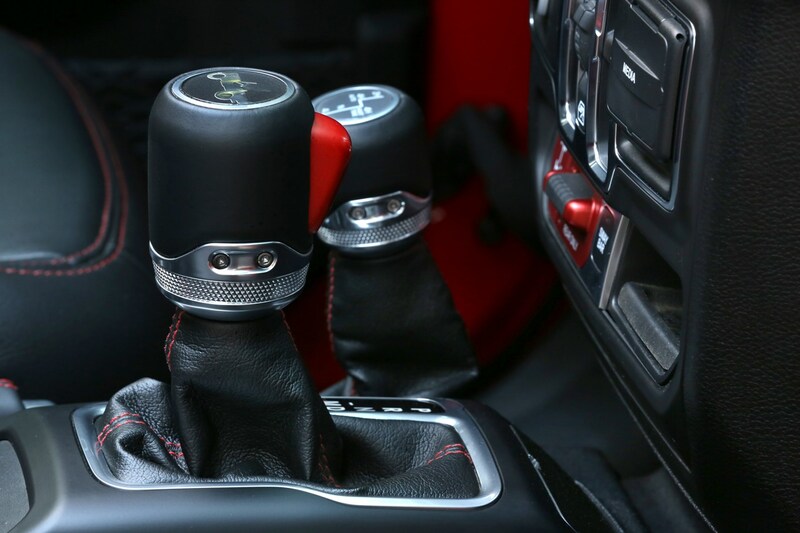 All Wranglers use an eight-speed automatic gearbox. 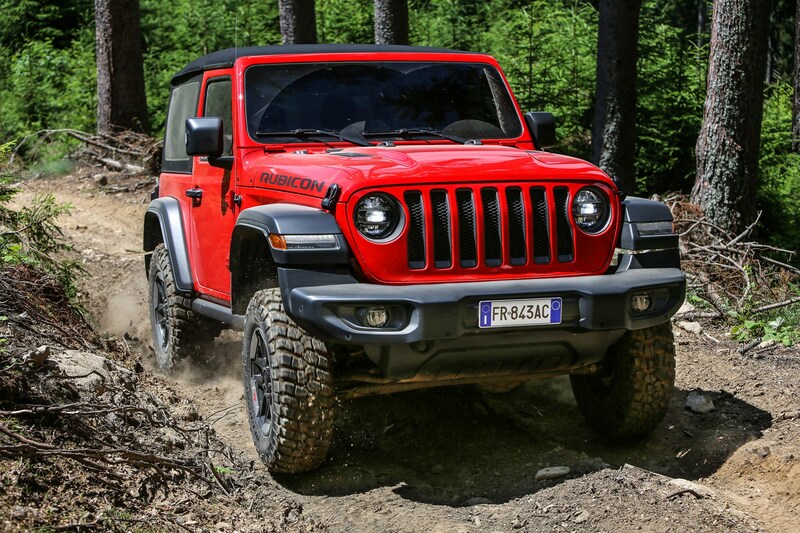 A Jeep wouldn’t be a Jeep without some serious off-road ability, and the American maker has ensured the latest Wrangler will satisfy the enthusiasts. It can tackle some seriously rough terrain even in regular Sahara spec with road tyres, thanks to the four-wheel drive system that comes with low-range ‘box. 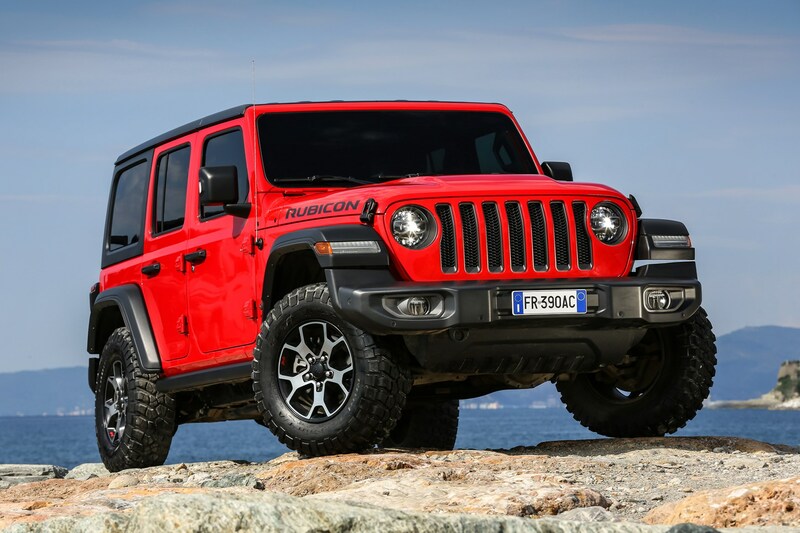 If you go for a more serious Rubicon version of the Wrangler, off-road tyres and upgrades to the four-wheel drive system mean you can tackle pretty much any terrain imaginable. 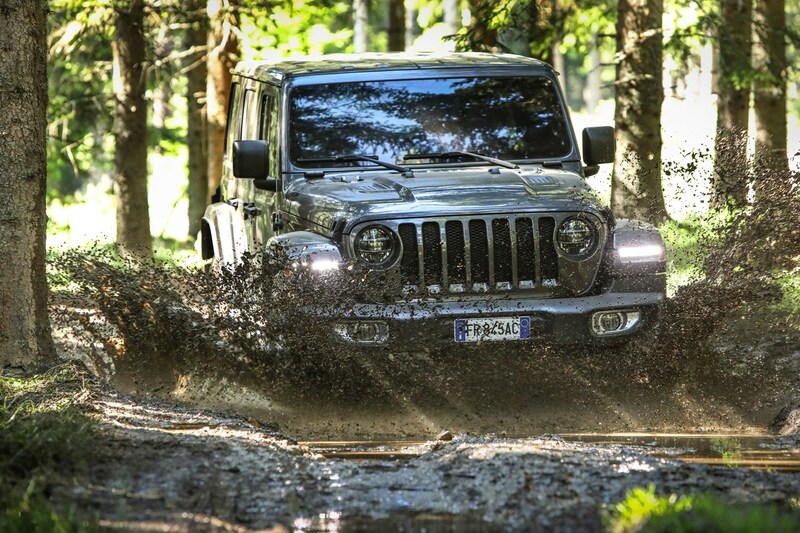 All Wranglers are ‘trail-rated’, meaning it has met a standard of off-road ability to make it a true Jeep. And there’s a nice little plaque to advertise just that on the car. 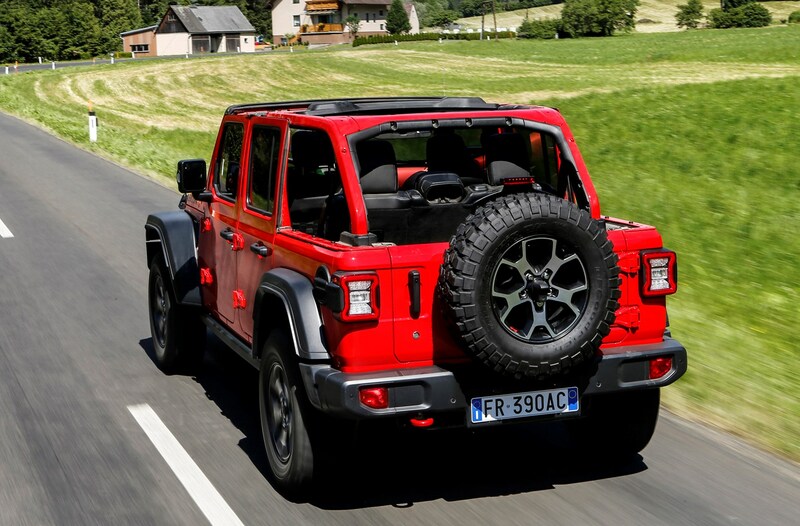 It’s a slightly different story when you take the Wrangler on-road (which is where the majority of them will remain, if you’re one of these new-generation ‘Urban Jeepers’). The experience is much more civilised than the previous model, but there’s still a wallowy, detached feel on a twisty road. 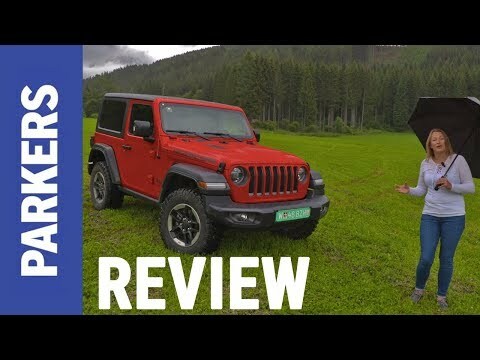 It’s harsh to criticise the Wrangler too much for this, because it’s not built as a sharp-handling family crossover, but the driving experience takes a little getting used as you make corrections to the steering wheel constantly when driving down the road. 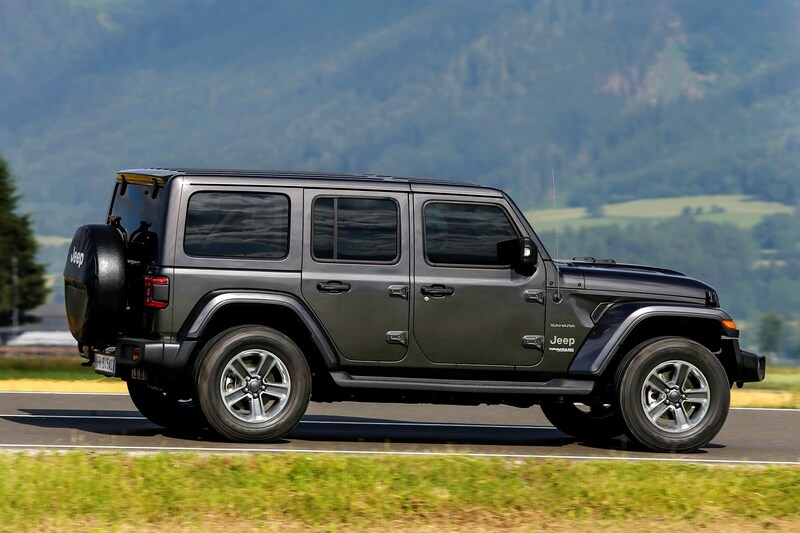 When assessed by Euro NCAP at the end of 2018, the Jeep Wrangler was awarded just a single star. 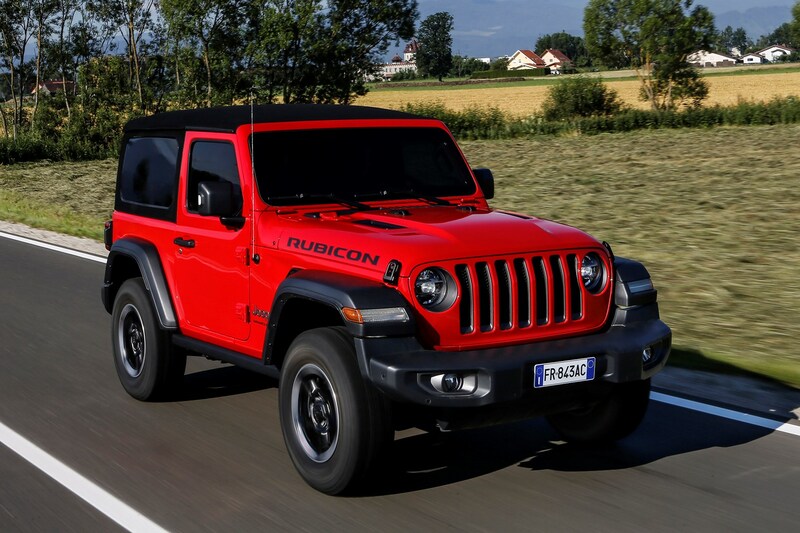 This is an unacceptably low score for a new design of car and something that may well limited Wrangler sales to all but the most ardent of Jeep enthusiasts. 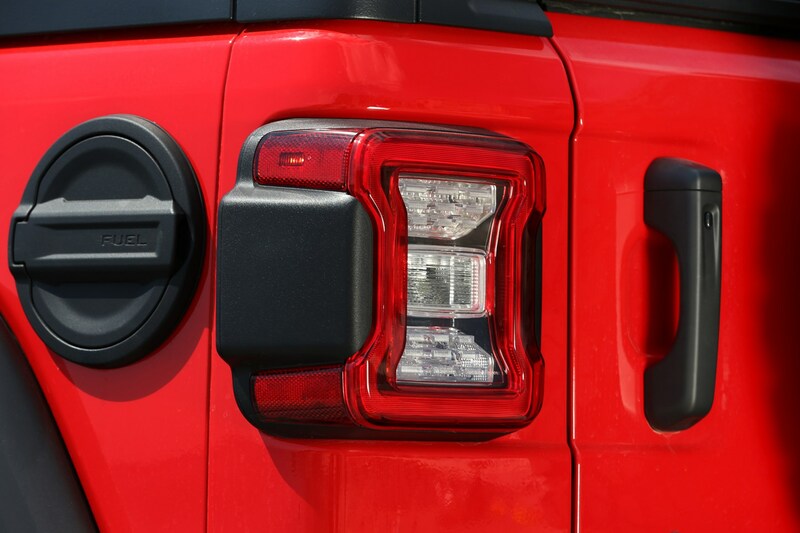 We expect that Jeep's parent company, FCA, will be rapidly working on a series of upgrades to enhance the Wrangler's safety credentials and submit it for re-assessment early in this generation's lifecycle. In an era of retro cars and attempts to build heritage into a design, Jeep’s range could be seen to be one of the worst offenders. Except for one model; the Wrangler. Rather than a cynical attempt to dress a modern SUV as a purposeful off-roader, this Jeep IS the original purposeful off-roader, constantly developed and modified to meet regulations without losing the almost octogenarian design. This is not, in any way, a 1941 car with some modern gadgets; it’s a thoroughly new vehicle that retains the purity of function before form. 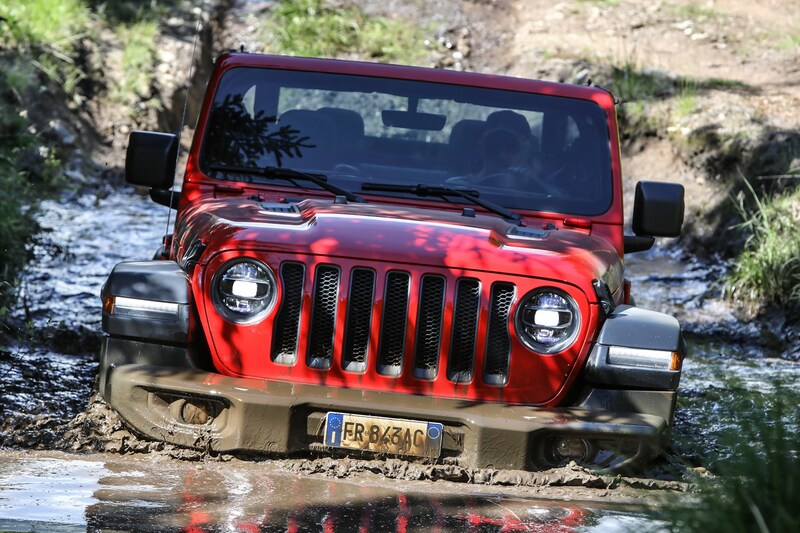 The Wrangler is a vast improvement over its predecessor. 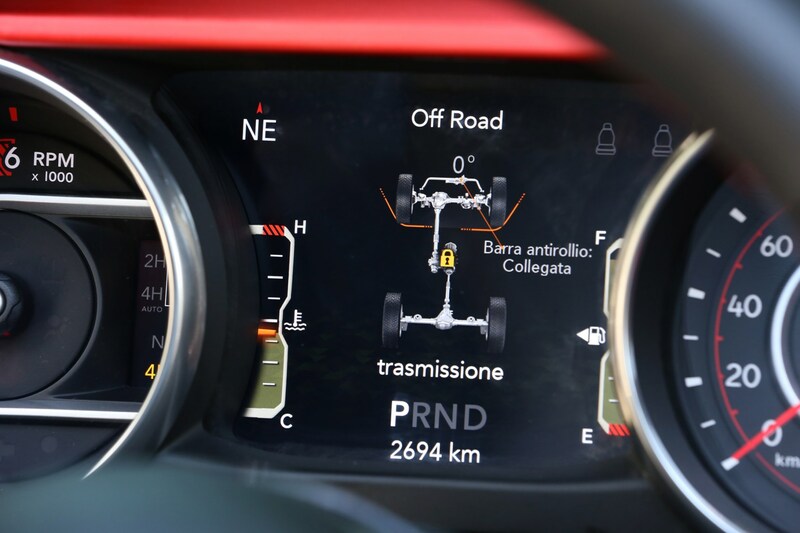 It’s certainly a much more refined place to spend time – the interior is a big step up in terms of ergonomics, refinement and quality, while the diesel engine is particularly impressive. It’s also retained its imperious off-road ability and is easier to drive than ever, but the compromised on-road drive means it’s still a car that you really have to want for it to make sense, especially if it’s your only car. It’s more user-friendly, but it makes more sense as a second car/play thing, that’s great fun. Just expensive fun.